English shaving brush wih badger hair, and imitation ivory handle and drip stand. 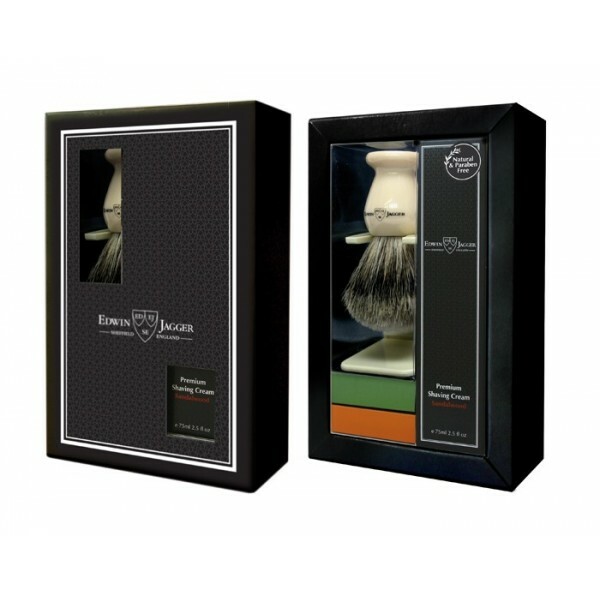 Gift boxed in a presentation pack with 75ml/2.5 oz tube of the most divine Sandalwood shaving cream. Box size W 13.5cm, H 6cm, D 20cms.